Send files directly to Drive, create new documents with one click, and more. 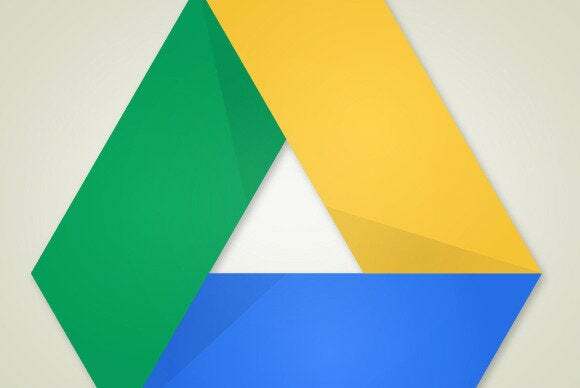 Every time we think we’ve reached the bottom of Google Drive’s bag of tricks, we uncover a few more. These five will help you get to your Drive account quicker and more easily find the files you need. Google Chrome was designed to give you easy access to Drive. But if Firefox is your preferred browser, you can create your own shortcut to Drive and its contents. With Drive open in your browser, create a bookmark. Then right-click on that bookmark and select Properties. Enter Drive in the keyword field. Now when you want to access Drive, just type Drive in Firefox’s address bar, and it will open. Follow the same steps to create shortcuts to any files in your Drive account. 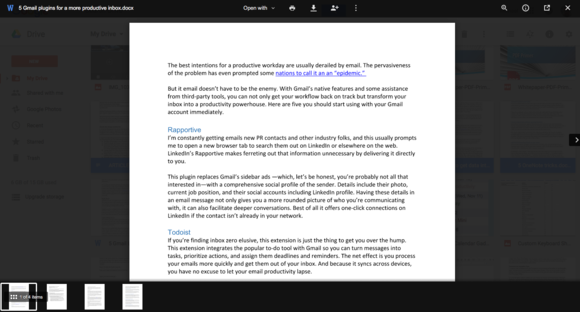 Google Drive makes collaboration nearly effortless. So, it’s likely you’ve accumulated a healthy collection of shared documents. That can make it difficult to find the one you need even when using the Shared with Me link in Drive’s left sidebar. You can search for collaborators by name in Drive. To narrow the list of shared documents to a particular collaborator, type their name in the search bar at the top. This will thin the choices just to docs you worked on together. If you’ve already installed Google Drive on Windows, you can enable this useful shortcut. Navigate to Users > [yourusername] > AppData > Roaming > Microsoft > Windows > SendTo. Find Google Drive on the Favorites bar and drag it to the SendTo folder. This will let you right-click on any file in Windows and express it directly to Drive. There’s nothing efficient about opening a bunch of individual documents to find the one you want. Fortunately, in Drive you don’t have to. Use Drive’s preview feature to toggle through a range of files without opening them all. Start by either Shift-clicking (for a continuous range of files) or Control-clicking (for a non-continuous range) the documents you want to preview. Next, click the eye icon in the top right of the browser window. Thumbnails of each file will appear in a preview bar across the bottom of the browser window. Toggle through them to sneak a full-size peek at each one. Rather than opening a new browser tab and logging in to Drive each time you want to create a new document or spreadsheet, shave off some time by using quick creation links. These links are written as “http://drive.google.com/document/create” but you replace “document” with “presentation,” “spreadsheets,” and “drawings” for each link. (Note that the latter two are plural.) Then drag all of them to your bookmark toolbar. Next time you need to create one of these documents, you can do it with one click.